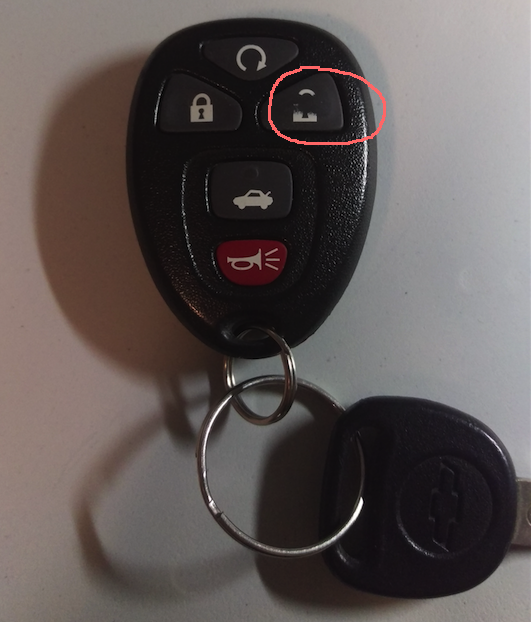 I have a 2008 GM vehicle and the key fob was having some problems. Specifically, the UNLOCK button was not working properly. I had to press and hold for a long time (5 – 7 seconds) for the doors to unlock. Look at the image below. The unlock button clearly shows a lot of wear. I looked online for a replacement key fob. A lot of folks seem to be having this problem. Canadian Tire sells one for $99 and dealerships I assume would sell for a even higher price. Some may even charge a programming fee. So you’re looking at the ballpark figure of $150 + tax if you are planning on getting a new fob. 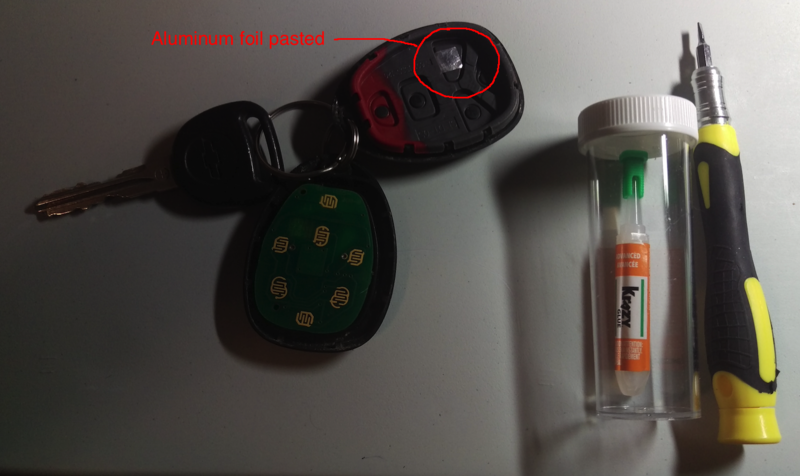 Apparently, GM key fobs manufactured between 2007 and 2011 have this issue. 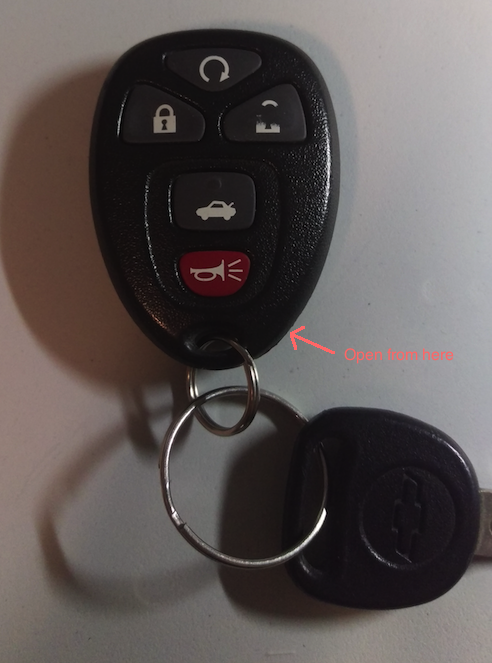 The inside of the rubber buttons have a conducting material coating which closes the circuit on the chip when pressed and allows you to lock/unlock/remote start/open the trunk. This conducting material coating wears off (material defect?) sooner or later rendering the button useless. Step ♯1 Pry open up the key fob (make sure you don’t have excess grease on your fingers). Step ♯2 Put a tiny amount of rubbing alcohol on the cotton swab and clean all contact points on the chip as well as the back of the buttons. Step ♯3 On the button that’s malfunctioning, put a little bit krazy glue and stick the piece of aluminum foil. In my case only the UNLOCK button was malfunctioning. So I applied this fix to this button only. Step ♯4 Doesn’t matter what Krazy glue says, let it dry for at least 10-15 minutes (if you’re impatient like me) or longer before closing up the key fob. All done! Test it and see if it works. Please comment below and let me know if it worked for you. So simple! Great post that will help all sufferrers immensely.